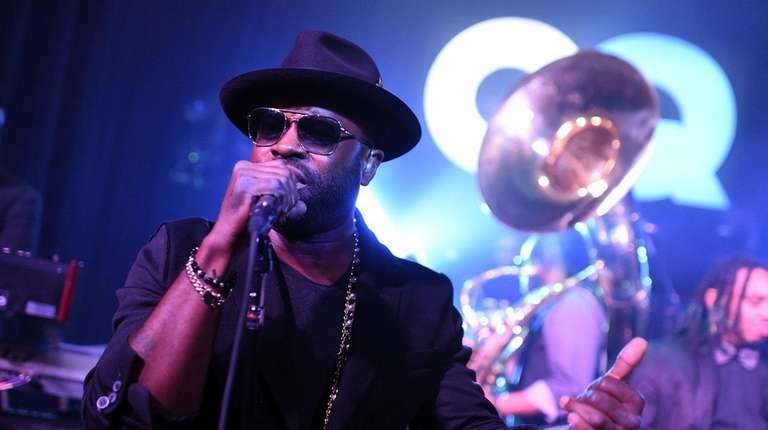 The Roots consider touring during the holidays a gift for themselves. Trotter says because The Roots can’t take much time off the rest of the year because of their house band duties on “The Tonight Show with Jimmy Fallon,” the time around Christmas and New Year’s Day becomes a rare opportunity for them to go on tour. Before The Roots signed on with Jimmy Fallon, you guys were road warriors. Do you miss all the live shows and touring? Sometimes I might feel that. I really miss connecting with the audience in that way. But I’m super thankful for the “Tonight Show.” I get to spend time at home early in the day. I get to hang out on the sofa with my family. . . . A two-week run is solid for me now. I’m aging. (Laughs.) The element I do miss is the studio. I miss being able to be in there for 10- or 12-hour blocks of time. But I don’t know that I would change this situation. I feel like the world is my oyster. What can people expect for this show? They can expect to be entertained. The show will have the same sort of energy that has become our brand. . . . They’ll hear the classics, some new stuff. We’ll be a cover band, a jam band, we’ll still do some karaoke. It’s all just a different dynamic. Is it harder to come up with new Roots music now when so much of your creativity goes to music for the show? It presents a little bit of a challenge. . . . But there will be new Roots music, probably a new album next year. . . . First, though there will be a “Hamilton” mixtape, an album of songs that were inspired by the musical featuring some of the performers from the production. It will be a wide range of music. And you handle such a wide range of music on the show. Your version of Adele’s “Hello” with the classroom instruments has already been watched more than 20 million times. We’ve done that so many times, but many people say that’s the best one. I like that the hard-core ruffians, the street thugs come up to me and say, “Man, you killed it with Adele.” It’s nice when people say you’ve elevated the composition in some way, when people say they love the song more because of our version. It’s nice when you win them over. So you’re always thinking of something new. I hope so. I love my life. I love saying, “This is what I worked on.” Everything I do has been a lifetime in the making. I want to keep doing it. I’m going to ride this till the wheels come off.